Nourish your physical and spiritual wellness with the old folk healing traditions of Germany. Magical Healing unites ancient ways with modern ones, teaching you about effective remedies, magical tools and correspondences, deities, and much more. In addition to providing time - tested traditions and healing knowledge, this book helps you trust in your own abilities and develop a practice that best suits your needs. Magical Healing reveals the secretive world of those who practice traditional folk magic. 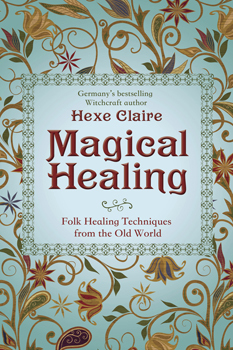 Germany's bestselling witchcraft author Hexe Claire uses her years of experience to guide you along your path of healing, showing you various techniques and how you can personalize them. Explore spells and the power of words, use plants and stones to enhance your healing, and learn to fully understand and treat illness and ailments.